My favorite nighttime show at Disney World is IllumiNations: Reflections of Earth. I never get tired of seeing it, actually I don't remember the last time that I didn't see it. It's almost a must-do. Getting a great view of the show can be difficult and one of my favorite ways to see a show - dinner and a show. There are several restaurants located around the World Showcase, 14 to be exact, but only two offer an amazing view of the fireworks while dining. 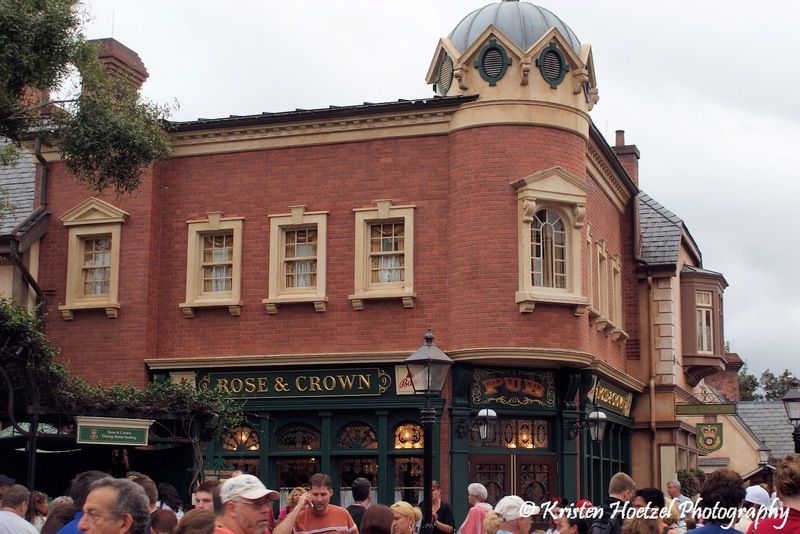 Rose and Crown located in Epcot's United Kingdom pavilion offers a fantastic view point. The restaurant has a covered patio that is located on World Showcase Lagoon making it the number one choice for the show. Therefore, it is also the most difficult to get. Guests will arrive early for their reservations and request a patio table in hopes of getting the best view. For your best chance, book your reservation for 7:30 pm or so and ask to wait for a table on the patio. There is no guarantee, but you might get lucky. From my experience I can tell you that just because you get the patio, doesn't mean you'll have a fantastic view. The outdoor seating is along the left side and back, if you get one on the side you'll have a view but not the best. 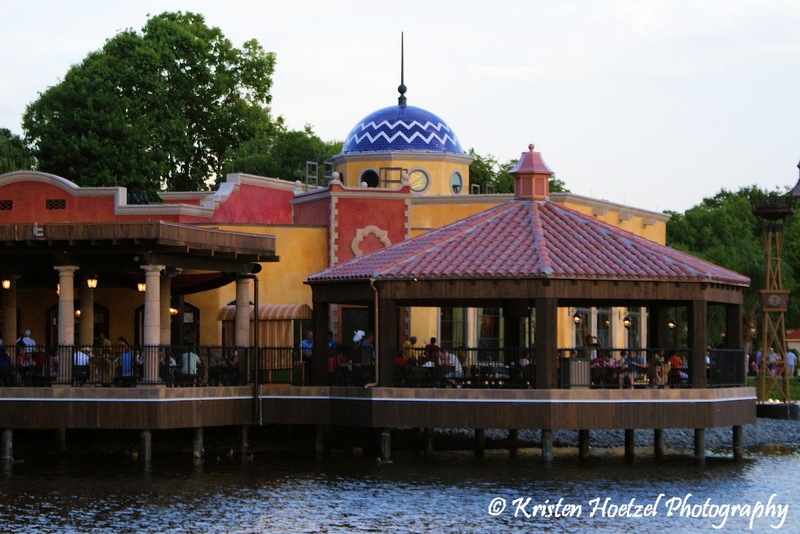 Sitting out on the water in the Mexico pavilion is La Hacienda de San Angel. It's the newest restaurant in the World Showcase and offers table seating next to very large windows with a clear view of the show. The tables located next to the window offer the best view but those next to it are also nice. While the show is going on the music is piped in through the speakers so you not only can enjoy watching the show but hearing it as well. When checking in ask for a table next to the window or one over. So even if you don't have a window seat, you'll have the second best view. Bistro de Paris, located on the second level of Les Chefs de France, has a good view being up high but window seating is very limited. Tokyo Dining, located upstairs in the Japan pavilion, is another good view due to the elevated level. The very large picturesque windows make for a nice view. If table service dining isn't what you are looking for La Cantina de San Angel located adjacent to La Hacienda (as seen in the picture above) has outdoor open seating where you can grab a quick meal and enjoy the fireworks. Just make sure you don't wait until the last minute, as this is prime viewing. Which restaurant is your favorite to watch IllumiNations from? By far Rose & Crown is my favorite restaurant view of Illuminations. It really just spectacular!